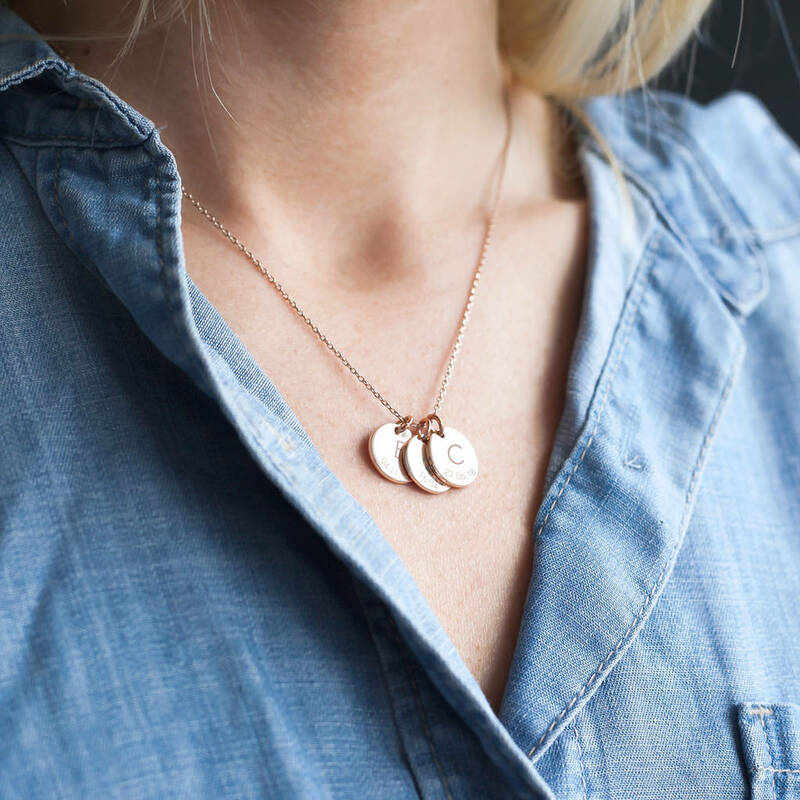 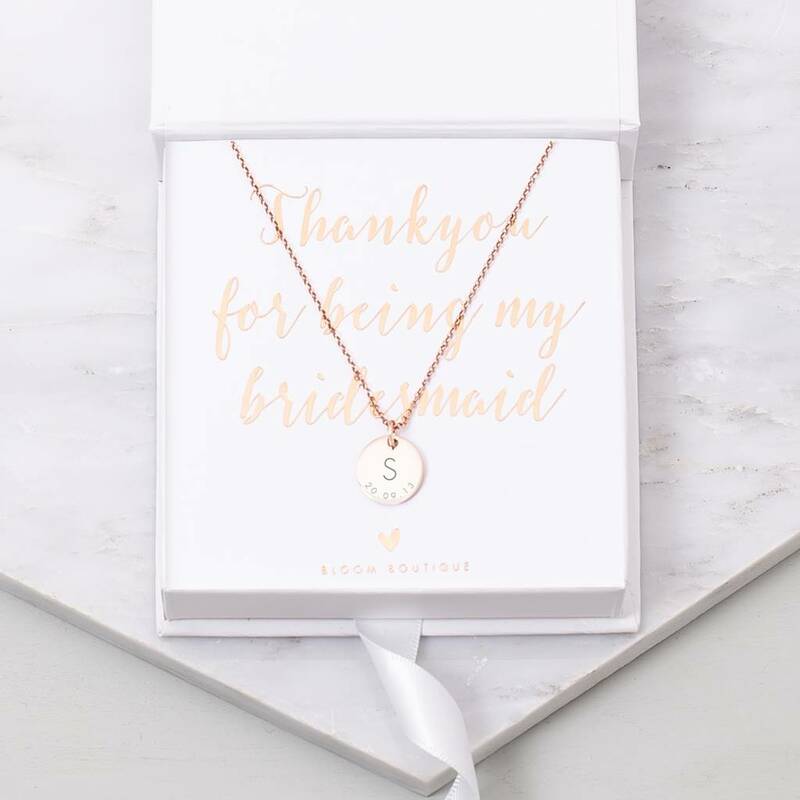 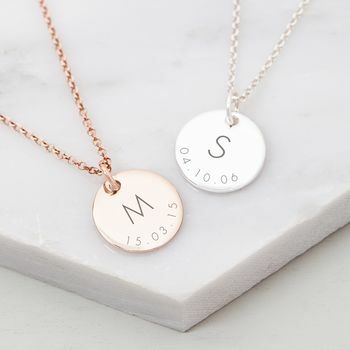 The Personalised Initial and Date Necklace is a beautiful silver or rose gold plated personalised necklace featuring up to 4 discs with unique engraving. 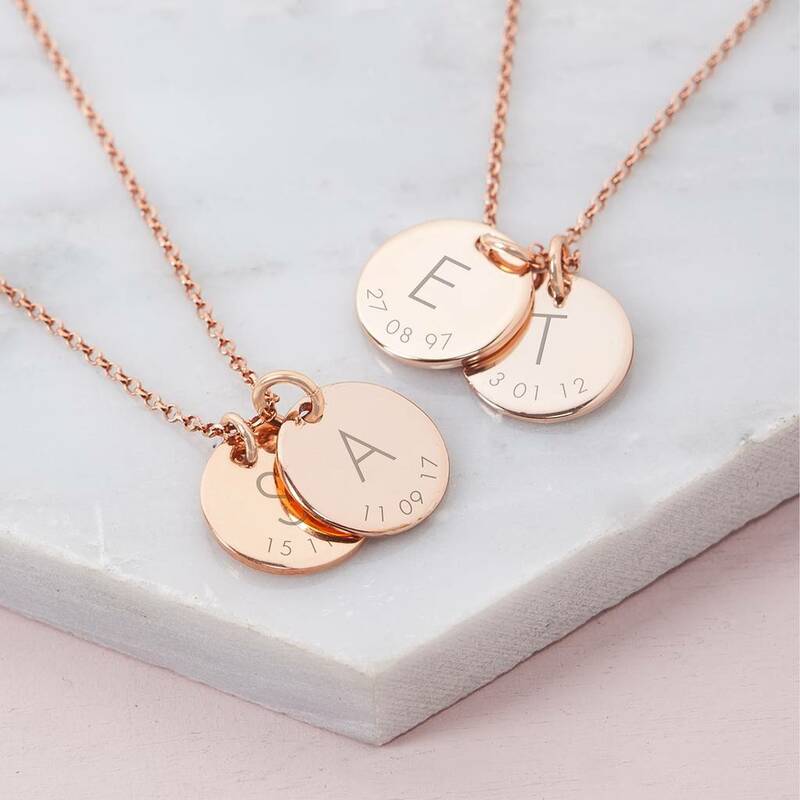 The Personalised Triple Initial Disc and Date Necklace has a delicate trace chain, available in childrens size and standard size. 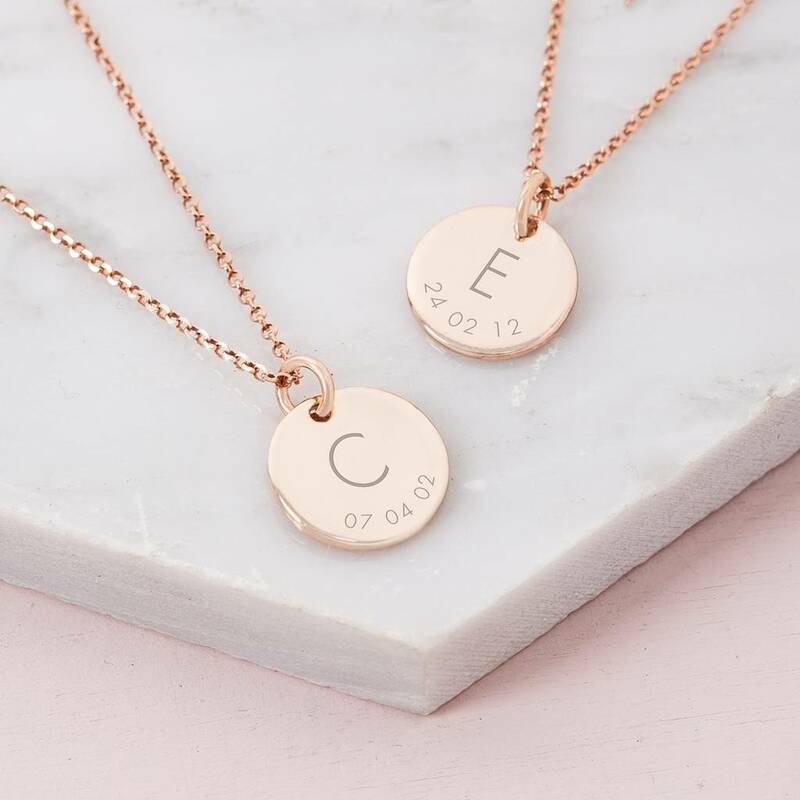 Each contemporary discs can be engraved with an initial and date of your choice. 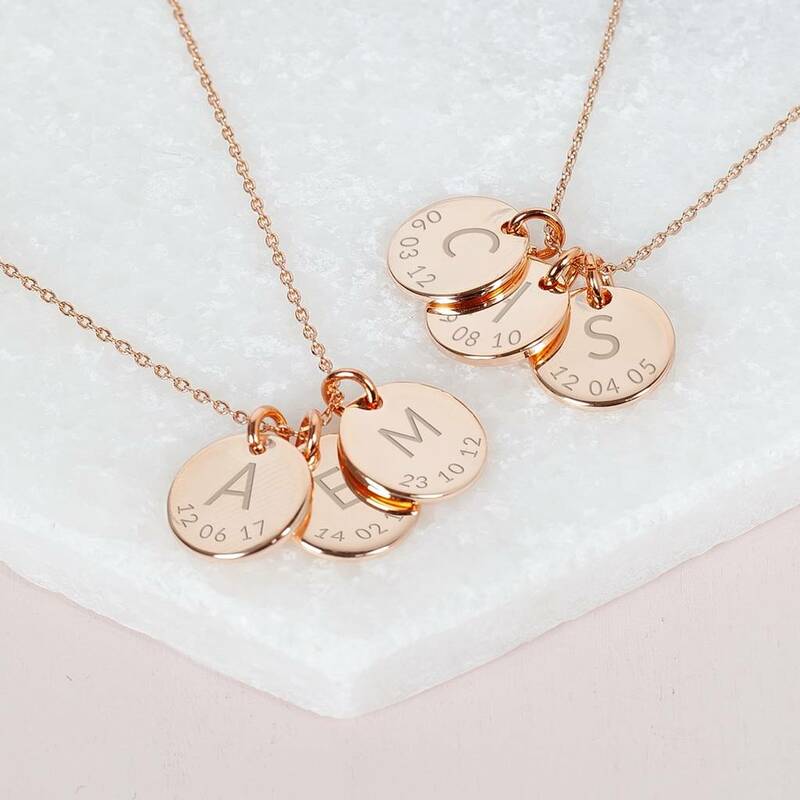 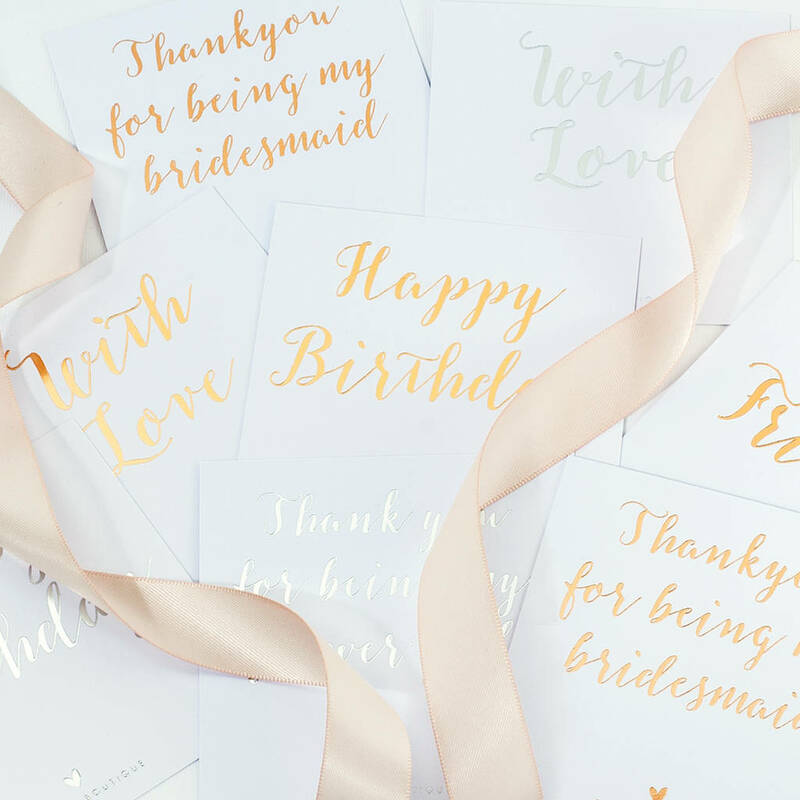 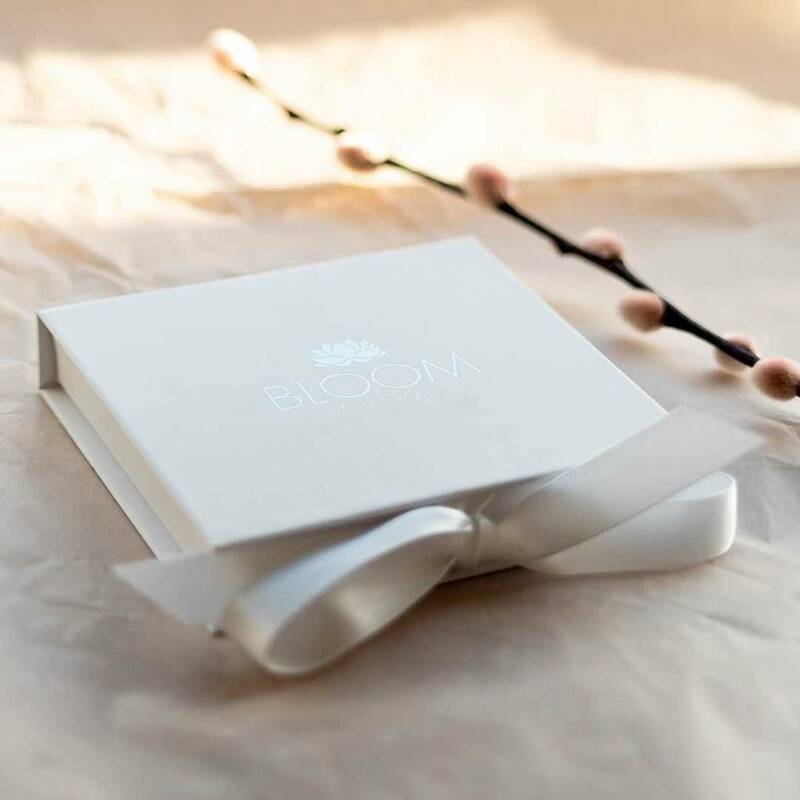 A unique and special personal gift for a loved one or a well deserved gift for yourself.